The benefit for the Uig area of the Isle of Lewis was immense. It enjoyed that priceless service for a decade longer than most similar places, while Colin also became a key figure in community initiaties, including the Suileachan project which created a wonderful memorial to the Riof Land Raiders. Colin was fond of reminding his siblings that, unlike them, he had been born a Hebridean. His elder brother, Dr Ewan MacDonald, said that he, too, should have been but his father insisted on putting his wife on the plane to Glasgow. ‘When it came to Colin’s birth, dad was much more relaxed and left the delivery to the nuns in the Sacred Heart Hospital in Daliburgh while he went fishing and caught a salmon the same weight as Colin’. The family also had connections with Lochaber and, after a few years, the elder Dr MacDonald decided on a move to Fort William as a single-handed GP. Ewan recalled: ‘We learned a lot about practical medicine from our father because back in the ‘50s ad ‘60s when we were young, he regularly visited his “chronics” up the glens and would always take us with him. Colin was educated at Lochaber High School before going on to Aberdeen University to study medicine. 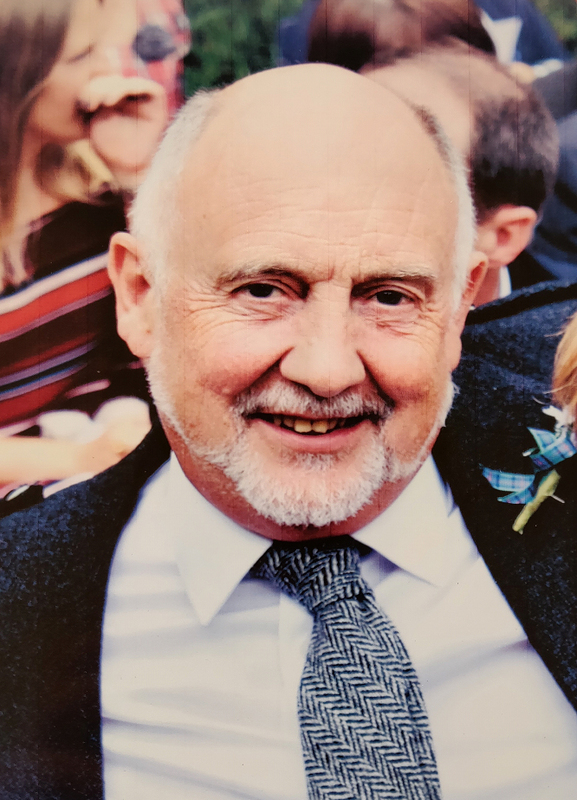 From the outset, he was set on General Practice as his career preference and after GP training In Orkney and a spell in Inverness, he took the decision to return to Fort William where, in the mid-1970s, he became a partner in the Tweeddale Medical Practice. His practice partner for almost 20 years, Dr Jim Douglas, recalled that it had been a concern for Colin that he would always be in his father’s shadow. However, the tumbledown surgery of “old Dr MacDonald” in Fassifern Road gave way to swish modern premises in the town centre and it became clear that Colin had his own ideas about how to operate as a GP in Fort William. A great lover of the outdoors, he became involved in the Lochaber Mountain Rescue Team as its medical officer and spent many days and nights on Ben Nevis and Lochaber’s other hazardous peaks. The late Sam Galbraith – a highly-skilled climber – was a great family friend who often did locum work at Fort William’s Belford Hospital because of the proximity to the mountains. (A plaque in the Uig surgery testifies that Sam, by then Health Minister, later performed the opening ceremony when Colin refurbished it). In 1994, Colin entered into a six-month job swap with a GP in New Zealand before returning to his practice in Fort William and then in 1997 to the Hebrides when a single-handed practice became available in Uig. This was at a time when many single-handed practices were heading in exactly the other direction because of the strains imposed by round-the-clock responsibilities. As Jim Douglas put it: ‘He stood against these trends which judged single-handed practice as unsafe professionally and personally. The net result is that Uig had Colin for 10 years of amazing personal service dedicated to his patients.’ His wife Donella became head teacher of Uig primary school and they built a welcoming home in the crofting village of Riof, both lynchpins of a very active local community. New Zealand continued to compete for their affections and Colin spent three years in General Practice in Nelson, South Island. However, the lure of the Hebrides remained strong and the family returned to Uig for the final stages of Colin’s medical career and then into a very active retirement. In 2017, he was diagnosed with a brain tumour. Colin was a sociable man and a great conversationalist who particularly loved the company of his extended family. From a first marriage, he is survived by his daughters Ali and Charlotte and five grandchildren – two in Florida and three in Fort William. Donella survives him along with their two sons, Andrew and Cailean, as well as brothers Ewan and Steven. 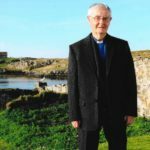 Always respectful of others’ convictions, Colin was not religious and the funeral service took the form of a celebration of his life in Uig Community Centre. There was a very large attendance which reflected the high regard in which he was held and appreciation of the service he had rendered. A generation of Uigeachs knew just how fortunate they had been. Colin had chosen music which reflected his journey through life, including the Maori song, Pokarekare Ana, a pipe tune composed by Dr John Napier MacAskill to mark Dr Colin A. MacDonald’s Farewell to Fort Wiliam; the great Uig song, An Ataireachd Ard, and a tune Joie de Vivre, composed and recorded by Cailean for his father. Colin was interred on a glorious winter day in the stunning setting of Valtos cemetery.